On the campaign trail and as president, Donald Trump has continually shined a spotlight on America’s growing transportation and broader infrastructure crisis — and promised to do something about it. Now, as he prepares for his first State of the Union address, the president is expected to once again push his vision for rebuilding America. There is no denying the needs are dire. Decades of neglect have left us with crumbling roads and bridges, transit and rail systems that can’t keep up with demand, ports unable to accommodate the world’s largest ships, and a world-class aviation system that is forced to rely on outdated technology. Failing to invest means we are leaving behind millions of working Americans who need good jobs and placing our country at a competitive disadvantage on the world stage. This has to end. As important as it is that we invest boldly, numbers and rhetoric alone won’t cut it. Congress has a responsibility to ensure infrastructure is funded in a way that works for all Americans, not just the privileged few. With growing income inequality and too many Americans who are underemployed, working families need to know the investments made will create quality jobs and leave this country with a transportation and infrastructure network capable of fueling middle-class economic growth. Such a plan is not hard to envision. In fact, it starts with a common-sense initiative that has strong bipartisan support: stabilizing the Highway Trust Fund that provides transit and highway investments. The Highway Trust Fund relies on a federal gas tax that has not been adjusted one penny in 25 years. Not surprisingly, the Trust Fund has not kept up with rising construction costs and mobility needs. Not only will fixing the Trust Fund support our surface transportation network, but it will free up scarce federal dollars for other critical infrastructure needs that plague our economy. Thanks to the 2015 FAST Act, a bipartisan framework already exists detailing how to effectively spend federal dollars on many of our surface transportation needs and does so in way that promotes good middle-class jobs. In addition to grant programs for transit, highways and bridges paid for out of the Highway Trust Fund, Congress authorized programs for Amtrak and freight rail that need to be funded. Simply put, there is no need to reinvent the wheel. Lawmakers should use existing programs wherever possible. While meeting our massive infrastructure needs will take a multipronged financial approach, the federal government’s responsibility to fund infrastructure cannot be ignored. Forcing cash-strapped states to cough up the majority of funds needed means too many projects – and jobs – will get left behind. Likewise, relying too heavily on profit-driven private investments will not produce the results this country needs. As much as Wall Street investors and anti-government devolutionists will say otherwise, creating a transportation and infrastructure network capable of meeting the demands of a 21st-Century economy requires significant federal investment. This means expanding federal capital and loan programs, relying on user fees, bonds and debt, and using P3s only where they make sense. Furthermore, we cannot fund infrastructure by robbing Peter to pay Paul. It has been suggested that infrastructure programs be paid for by cuts to Amtrak, transit or other domestic needs — a plan we wholeheartedly oppose. Compromising one set of federal transportation priorities in favor of another will not get us anywhere. Nor should we attempt to pay for infrastructure investments by robbing federal employees of their pay or retirement savings. This misguided idea was tried and rejected during past debates over transportation spending and has no place in a federal infrastructure package. Finally, no infrastructure plan would be complete without a guarantee to working families that their tax dollars will be maximized to create good jobs. High labor standards and Buy America rules are not negotiable. 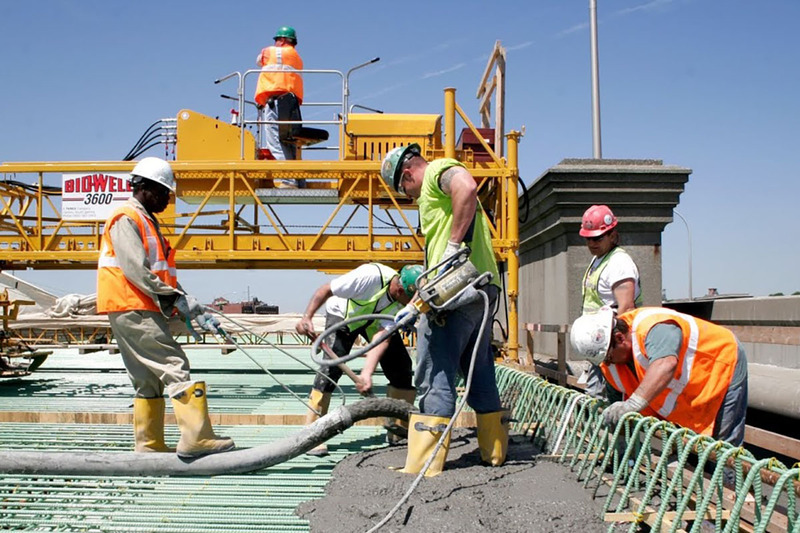 Any infrastructure package passed by Congress must prioritize protecting and creating the kinds of jobs that allow working people a chance at a middle-class lifestyle. The time for infrastructure investment is upon us, but the details of a plan matter. President Trump is expected to make his case tonight. It will then be up to lawmakers to prioritize a bipartisan bill that rebuilds our infrastructure, fuels a new wave of middle-class job creation, and reinvigorates the American economy in a way that will work for everyone. Details matter, and we’ll be paying attention.